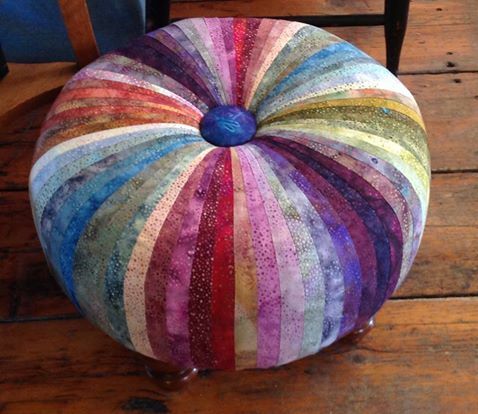 Adding a bit of whimsy along with practicality, a tuffet is a fabric covered footstool. It's a beautiful piece of furniture that enhances your home and makes a wonderful gift for friends and family for any occasion. Consisting of furniture-grade components,the tuffet has a cushion, a wooden base, batting, a fabric cover (that you make!) and wooden feet. It is made for your enjoyment for years to come! Making tuffets becomes addictive, as Kim has found out herself! She is now a Certified Affiliate of The Tuffet Source™, the company that produces original and wonderful patterns for tuffets. Kim is now hosting and teaching tuffet making here at the Inn. 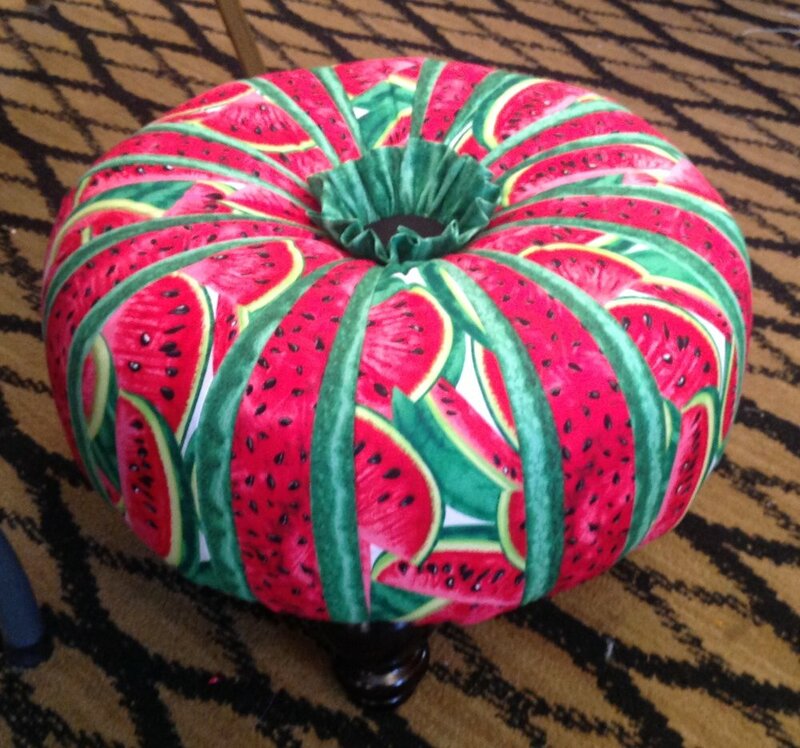 A 2-3 day retreat, you will go home with a finished tuffet to enjoy! Come join the fun! All you have to do is Sew, Eat, Sleep, and Repeat! 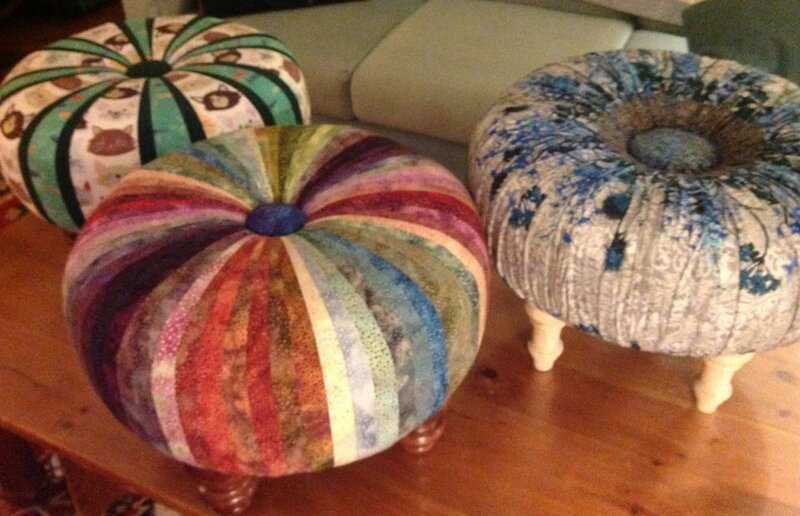 Who can make a tuffet? Anyone with basic sewing skills, the knowledge of how to operate a sewing machine, and a sense of adventure – with fabric! 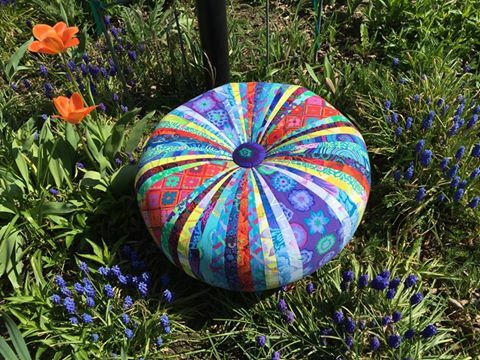 It’s not hard to make a tuffet; it just takes a bit of time . . . . Patience helps, too! 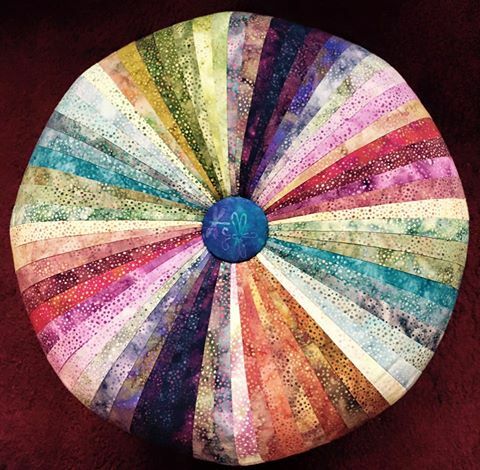 The tuffet kit that includes the cushion, batting, plywood base, and a button cover kit to be purchased from Kim. 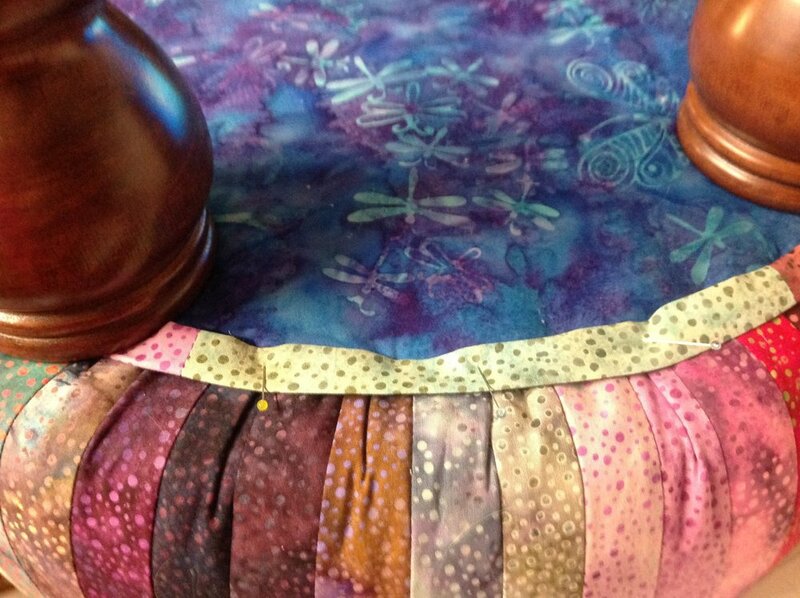 The Tuffet Source™ Tuffet Pattern with fusible or fabric foundation** is also required and available from Kim. Feet for the tuffet may be purchased from Kim with a choice of several styles and finishes; big box stores have some unfinished feet, though the hanger bolt isn’t as secure.